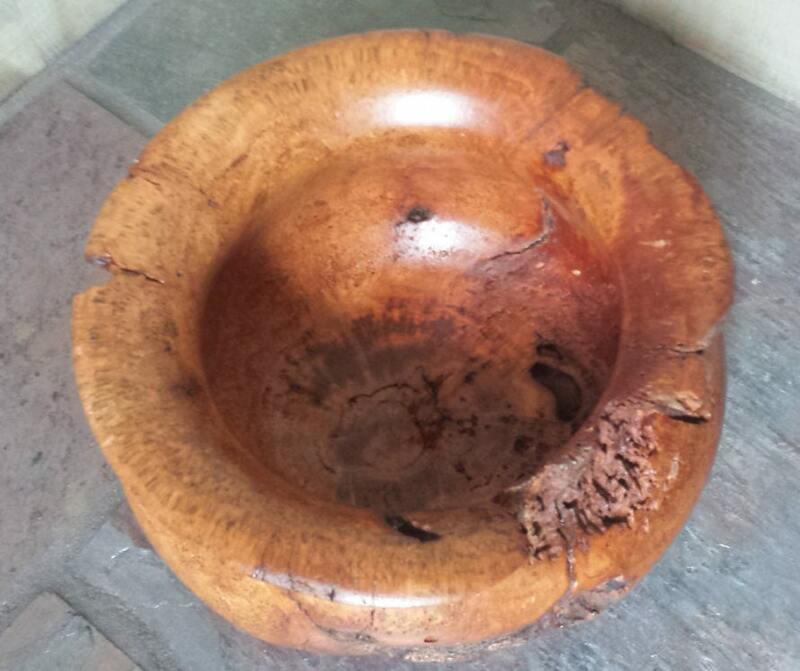 This bowl was made from the burl found on a fallen cherry limb. 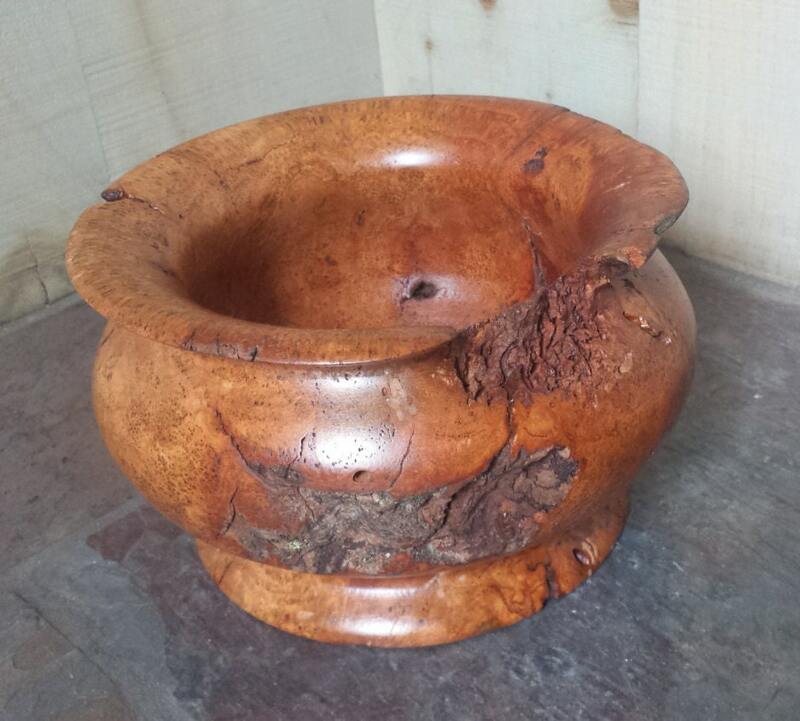 It was turned on a lathe and finished with 2 coats of oil-based polyurethane. 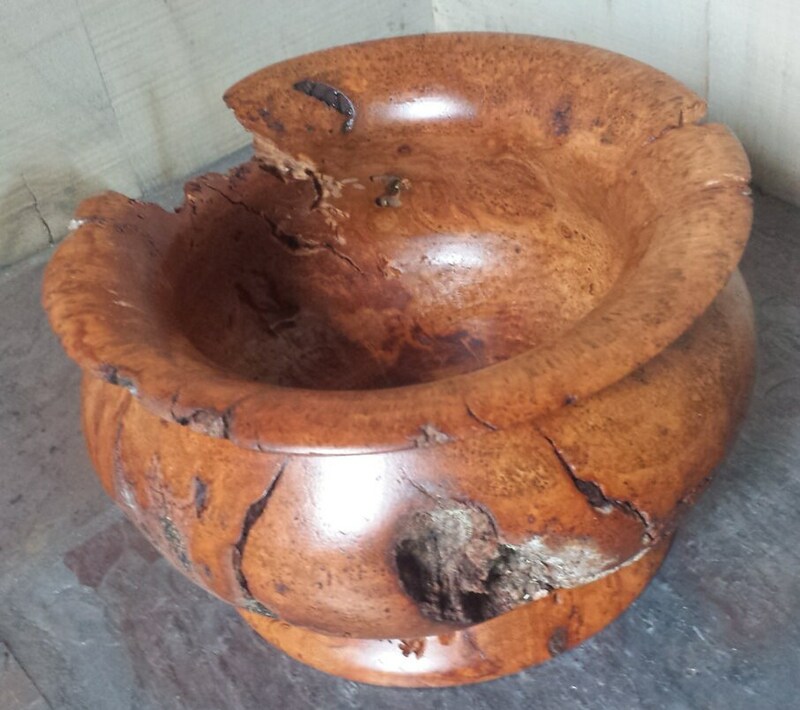 The colors are exceptionally warm and vibrant on this specimen as the wood had just begun the process of breaking down, enhancing color and texture but not compromising integrity. 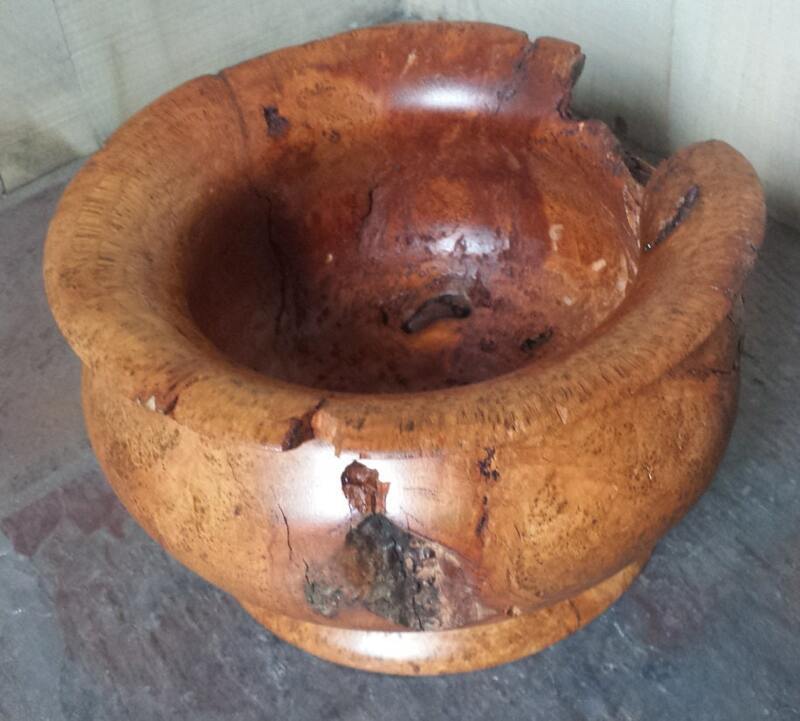 No wood stain was used just polyurethane. 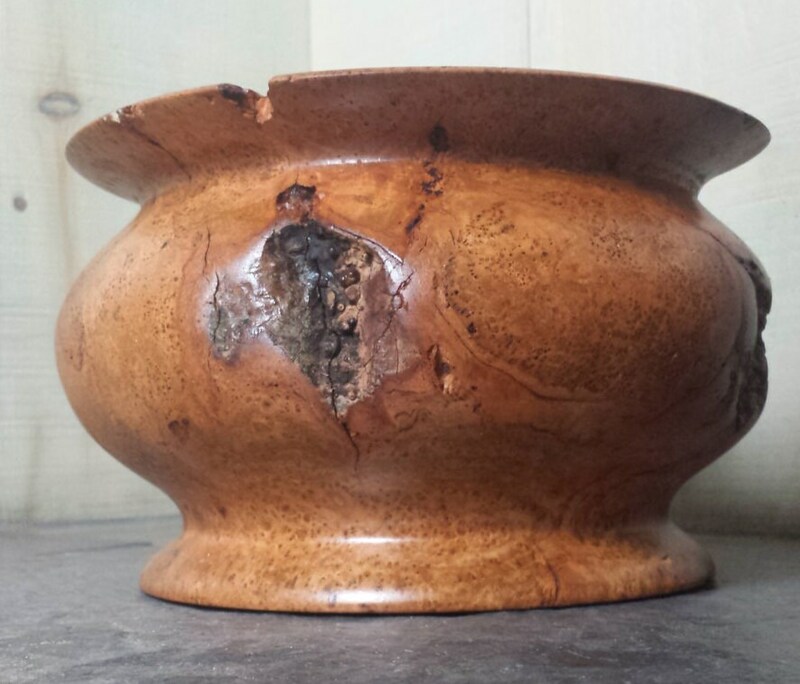 It is 7" in diameter x 4-1/4" high. The bowl depth is 3-3/8".